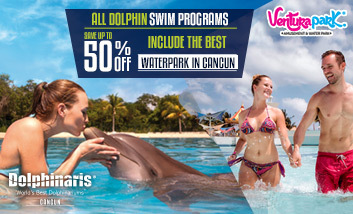 Buy your admission to Ventura Park Cancun – amusement and water park and enjoy the whole day of fun with All Inclusive (unlimited meals and non alcoholic drinks). Buy your tickets through the website and take advantage of 30% discount by booking in advance. Your payment must be online by credit card Visa or Master Card. We offer all the amenities to make your stay enjoyable. We rent lockers and towels at very affordable prices. Take a souvenir from our gift shop or immortalize it with a photograph of our experienced photographers. Valid until April 15th, 2018. 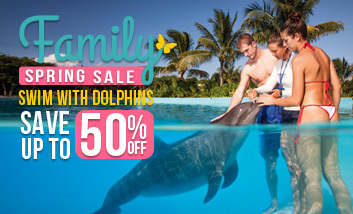 Meet our new FREE SHUTTLE service to Dolphinaris and Ventura Park Cancun.